The series doesn't look set to return until 2019. Details surrounding the third season of hugely successful Netflix original series 'Stranger Things' have been sparse, but it's now been revealed exactly when the batch of new episodes will start shooting - and just how many episodes will make up the series' third outing! What we already know is that season 3 will include a time jump so that the rapidly ageing's cast won't be a problem for settling into the "reality" the show wants to capture. How far the jump will send viewers and characters into the future however remains to be seen. According to TV Line, the third season will be eight episodes long, with filming starting in mid-April this year. That's one episode less than the nine that made up season 2, but we imagine that a whole lot of action, chaos, trials and tribulations will be woven throughout each of them. A number of plot lines were left dangling when we saw 'Stranger Things' season 2's finale. We discovered that the Mind Flayer, whilst sent back to the Upside Down was still seeking out ultimate power. What that means for the small town of Hawkins and its residents we don't know, but we imagine the villainous being isn't too happy about being sent back to where it came from. 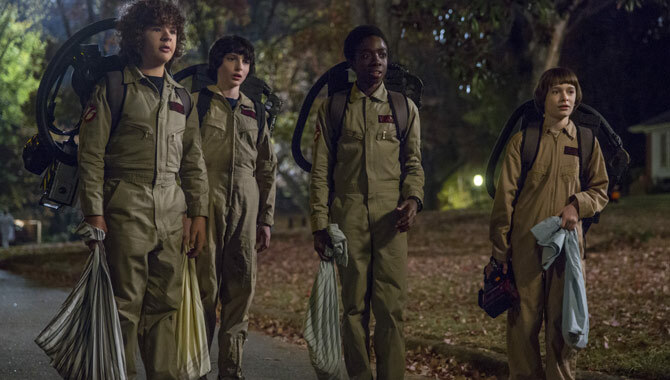 Original cast members, such as Millie Bobby Brown, Winona Ryder, David Harbour and Finn Wolfhard are all expected to return, with creators Matt and Ross Duffer writing up their next set of escapades. We also imagine there will be a bunch of new castings right around the corner. It's going to be an interesting few months from April onwards for fans, as we discover more about what the third season of 'Stranger Things' will include. Bring it on. 'Stranger Things' season 3 is expected to debut at some point in 2019, exclusively on Netflix. Seasons 1-2 are available now on the streaming service.